CBS on Saturday finally covered the growing ClimateGate scandal, but did so when its "Evening News" program was going to be preempted by college football in most of the country. With the SEC Championship game between the universities of Florida and Alabama starting at 4PM EST, few would see CBS's report on this controversy unless they read an article at the network's website. There, the video of the segment was available with the surprising caption "Climate Change a Hoax?" 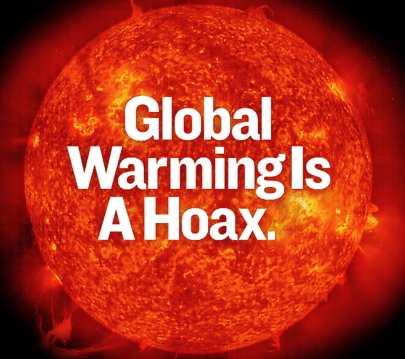 According to LexisNexis, anchor Jeff Glor teased the story before a commercial break, "Just ahead on tonight`s CBS EVENING NEWS -- did some scientists fudge the numbers to make climate change look worse than it is." JEFF GLOR, ANCHOR: Just ahead on tonight`s CBS EVENING NEWS--did some scientists fudge the numbers to make climate change look worse than it is. JEFF GLOR: It was a change of plans for the President. Instead of attending the climate change summit in Copenhagen when it opens next week, he`ll arrive near the end on December 18th. That might mean a climate deal is within reach. But a series of leaked e-mails between climate scientists is casting a cloud over this meeting, as we hear now from Kimberly Dozier. KIMBERLY DOZIER: Hundreds of world leaders of climate change experts are descending on Copenhagen to try to come up with a new pact to slow global warming. And thousands of protesters across Europe today were trying to send them a message. It`s time to stop talking and make a deal. But reaching that deal has now been complicated by what`s been called Climate-Gate. A string of hacked private e-mails between global climate chain scientists in the U.S. and Europe, which have cast doubts on the very science this summit is based on. The e-mails seem to show that some of the world`s top experts decided to exclude or manipulate some research that didn`t help prove global warming exists. Nineteen ninety-eight was the hottest year since recordkeeping began. But the temperature went down the next year and it`s only spiked a couple of times since. An e-mail from 1999 shows scientists worked hard to demonstrate an upward trend. They talk of using a trick to hide the decline in global temperatures. It worked like this: when temperature readings gathered from studying tree range showed what looked like a decline in temperatures from the 1980s to the present, the scientists added in measurements taken later by more modern instruments, which gave them the answer they wanted. The scientists say the e-mails are being misinterpreted. KEVIN TRENBERTH (National Center for Atmospheric Research): A lot of charges have been made that I think are-- are quiet unjustified, cherry- picking information and-- and not-- taking it quite out of context and-- and misrepresenting what it`s actually saying. KIMBERLY DOZIER: Senator James Inhofe, a climate change skeptic, says the e-mails prove the global warming threat is exaggerated. He wants a congressional investigation. SENATOR JAMES INHOFE (R-Oklahoma): We are relying upon that science for a bunch of stuff that we would be doing that would lose a lot of jobs and really affect Americans. I do believe an investigation would show that they are-- that they`ve clearly manipulated the data. KIMBERLY DOZIER: The official U.S. position hasn`t changed--that climate change is real and needs to be addressed. ROBERT GIBBS (White House Press Secretary): Climate change is happening. I don`t think that`s anything that is, quite frankly, among most people, in dispute anymore. KIMBERLY DOZIER: Two major carbon producers, India and China, agree. They just announced they`ll set goals to lower their carbon emissions. Though the U.S. Congress hasn`t agreed on an American plan to lower emissions, President Obama`s visit to Copenhagen at the end of the meeting, instead of the beginning as originally planned, is being taken as a positive sign. ACHIM STEINER (Director, UN Environment Programme): President Obama said he will come to Copenhagen if a deal is feasible, and I have always said, and we have in the United Nations said, that while nothing is guaranteed, the world is ready for a deal. KIMBERLY DOZIER: But the leaked memos have given ammunition to critics of climate change, so climate change supporters fear Copenhagen may only produce the framework for an agreement that then will be passed on to next year. Jeff. JEFF GLOR: All right, Kimberly Dozier from our Washington bureau tonight. Kimberly, thank you. Once again, as a result of Saturday's college football game, few people in the country actually saw this report. In fact, CBS's Phoenix affiliate didn't even list the "CBS Evening News" on its schedule Saturday. As it is in the Mountain Time Zone, this suggests the program was only aired on the West Coast, and was never intended to be seen east of the Pacific Time Zone. The schedule for CBS's San Francisco affiliate shows "CBS Saturday Evening News" at 6:30. Was the coverage of ClimateGate on a Saturday when it wouldn't be shown to the vast majority of the nation due to college football a way for CBS to report this story without actually doing so?